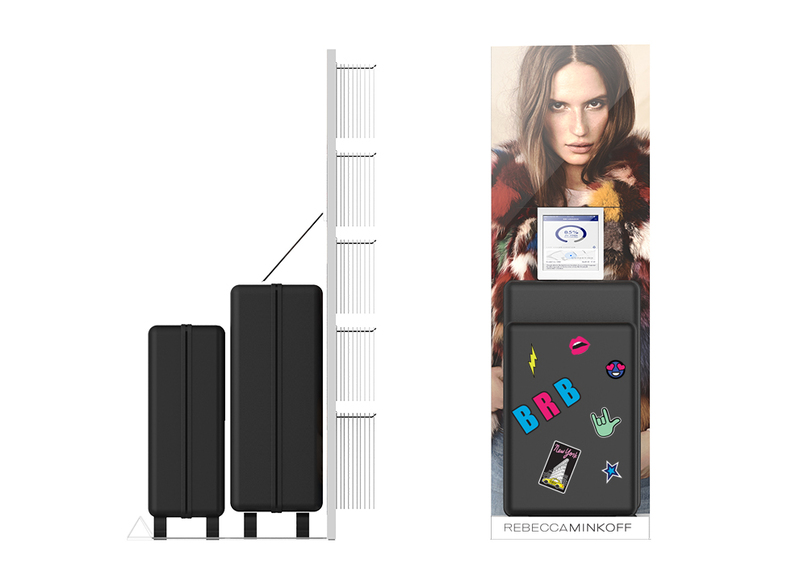 Rebecca Minkoff, a Licensed brand of Incipio, requires a dedicated retail floor merchandising space for their line of Tech Accessories: phone cases, wristlets, cross-body phone bags and laptop sleeves. Projected for 2018 production! 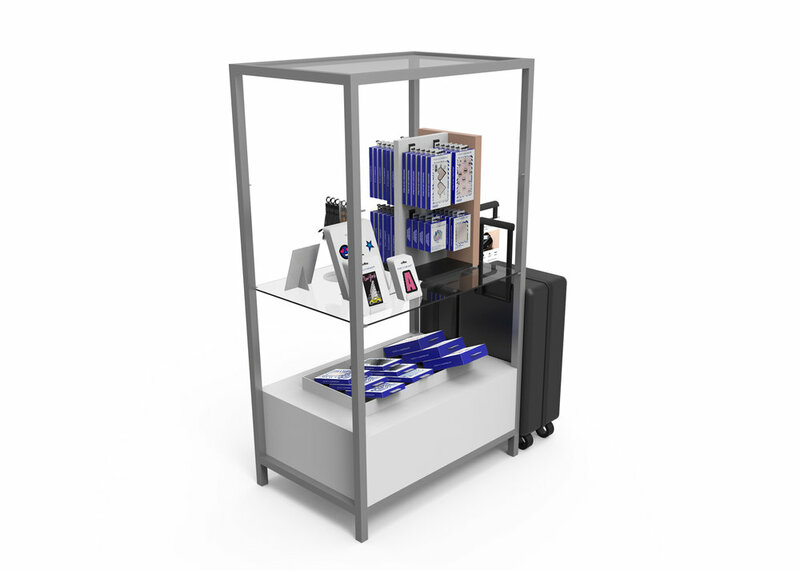 A narrow, two-sided tower with minimal, routed slats was the perfect solution for Retail floor space. 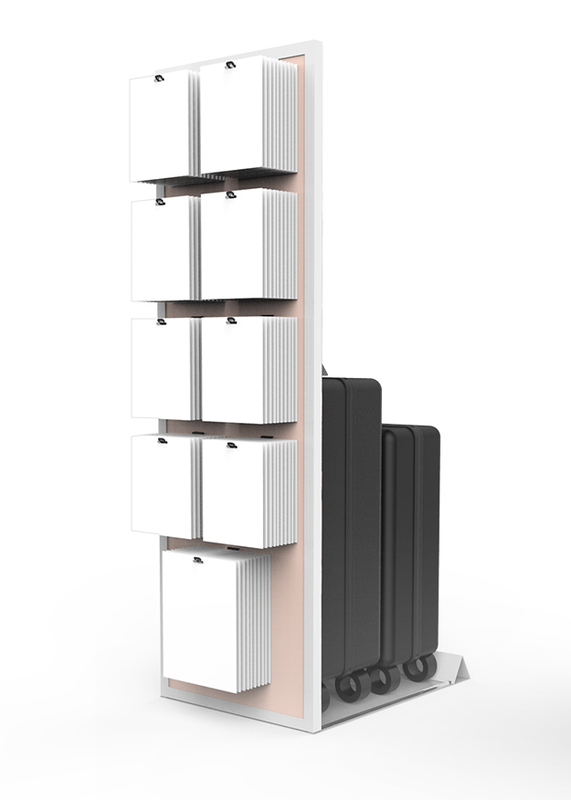 Following the new brand guide, accents of black and blush were incorporated with white remaining the main color to act as a backdrop to the color-centric product. Multiple activation solutions for the 2018 release of the Minkoff Luggage line which includes the 22" base model roller with emoji, letter, and city stickers for customization. + Luggage talker with faceted corners, demonstrating features. + Dillard's shelf merchandised with counter top concept, phone cases, and sticker packs with luggage positioned to the side.